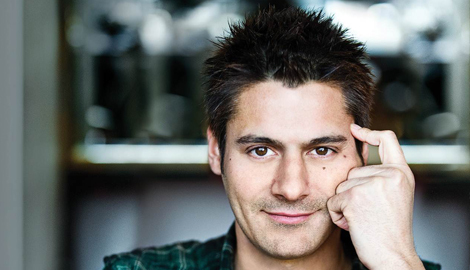 Danny Bhoy is no stranger to the comedy circuit and has always been a Kiwi favorite thus needs no introduction. 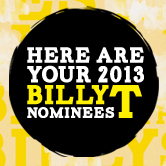 Every time he visits our shores, he is definitely one of the most anticipated acts of the comedy festival. Dear Epson… is quite different from his previous shows but still has all the hallmarks of what fans have grown to expect and love at a Danny Bhoy gig. After a fleeting too funny “too soon” Anne Frank reference and some friendly banter with the audience, Danny explains to the audience the story behind Dear Epson. A year ago, Danny purchased an Epson printer only to realize soon after that the ink required was more expensive than the printer itself. Infuriated by this absurdity, an irate Danny took to pen and paper and wrote a letter of complaint to the printer company, demanding an explanation. This letter sparked a snowball effect and soon he found himself writing to other corporations that have angered him over the years. Oil of Olay (formerly Oil of Ulay), Vodafone, British Airways – Danny shows them no mercy, exposing them for their empty marketing promises. Danny is a gifted and skilled storyteller and excellent wordsmith – he effortlessly has the audience hanging on to his every word through his natural gift of the gab and irresistible charm. The letters of complaint are brilliantly crafted prose; compelling, witty and delivered flawlessly. After letter number three, Danny takes a breather and assures us that the show is “not all ranting and raving”. In between the collection of letters, Danny also treats us with entertaining and hilarious stories from his life, like the awkward encounter he had with a German shopkeeper when he was Christmas shopping, his determination to not be bested by a waiter at a Michelin-star restaurant and my personal favorite, his amusing but oh-so-true “rules of receiving canapés”. Dear Epson… is observational comedy at its best and this time with added cleverly channeled consumer rage. Laughter really is the best medicine and Danny Bhoy is the perfect remedy. The Whimsical Banana rates Dear Epson…: 5/5 bananas! Danny Bhoy has finished his Auckland and Wellington run but will be performing in Dunedin (tickets here) and Christchurch (tickets here) on May 6th and 7th respectively for ONE night only. Tickets go like hot cakes so get in quick! This review can also be found on Keeping Up With NZ.